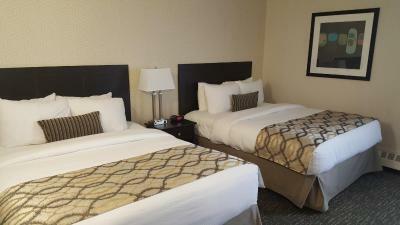 Staff was very friendly, rooms are nice and spacious, very clean. It is always my usual choice as the staff are always accommodating and the rooms and all facilities are clean. Priced very reasonably. Breakfast was handy. Served Starbucks. I love my bed it was very comfortable, I would go back again and I will recommend my friends and family to book rooms at west coast hotel! Staff is great for meeting the consumer's interests of travelers. The jacuzzi tub in our suite was amazing, definitely took advantage of that every night, and the room was pretty spacious. The front desk staff were really nice and welcoming. 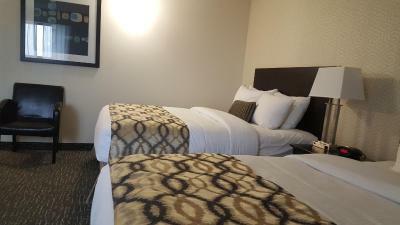 Coast West Edmonton Hotel & Conference Centre This rating is a reflection of how the property compares to the industry standard when it comes to price, facilities and services available. It's based on a self-evaluation by the property. Use this rating to help choose your stay! One of our top picks in Edmonton.Coast West Edmonton Hotel & Conference Center is centrally located in Alberta's West end business district. Free WiFi is provided. 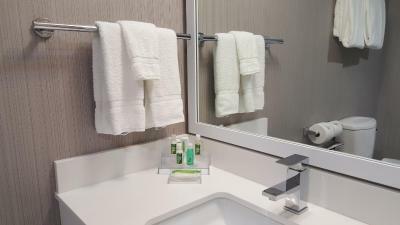 A flat-screen TV, coffee maker, mini fridge and air conditioning are standard in every room at this hotel. 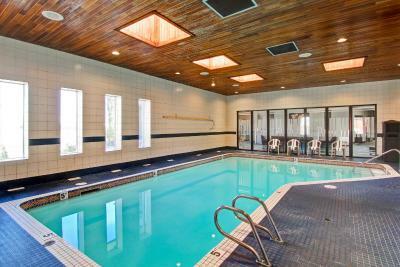 Coast West Edmonton Hotel & Conference Center also features and indoor pool, and on-site restaurant. Guests can enjoy convenient access to a variety of local attractions such as the West Edmonton Mall, the Valley Zoo and the Capital Raceway. Coast West Edmonton Hotel & Conference Center is also just moments away from a variety of local dining options, shopping, entertainment, and much more. 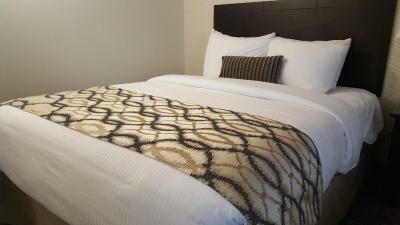 When would you like to stay at Coast West Edmonton Hotel & Conference Centre? 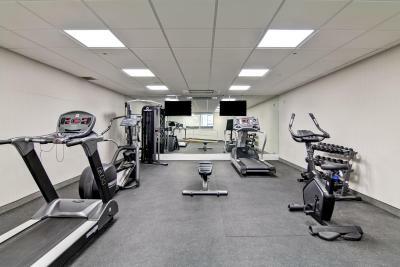 A flat-screen TV, coffee maker, mini fridge and air conditioning are provided. This room features a flat-screen TV, coffee maker, mini fridge and spa bath. House Rules Coast West Edmonton Hotel & Conference Centre takes special requests – add in the next step! A CAD300 damage deposit is required on arrival (around USD224.37). This deposit will be fully refunded 7 days after check-out, as long as there isn't any damage to the property. Coast West Edmonton Hotel &amp; Conference Centre accepts these cards and reserves the right to temporarily hold an amount prior to arrival. Coast West Edmonton Hotel & Conference Centre accepts these cards and reserves the right to temporarily hold an amount prior to arrival. A damage deposit of CAD 300 is required on arrival. That's about 224.37USD. This will be collected by credit card. You should be reimbursed within 7 days of check-out. Your deposit will be refunded in full by credit card, subject to an inspection of the property. Beds were not very comfortable, pull out couch was absolutely horrible. Size of rooms, housekeeping coming in to clean daily. doors were hard to open when coming into the lobby from outside. revolving door might need some work. I enjoyed my stay. The room was quiet and I felt safe. The staff were extremely polite and friendly. I would stay here again as the price was great for the clean accommodations and friendly staff! Need to check on the towel situation for the pool area. Need garbage can outside designated smoking area also. No hot tub. Pool closed a lot! Very clean rooms, good breakfast, quiet, friendly service. Good place to stay when coming from out yonder. The room was not ready at 430pm.... there was a strong odor in the room when we did get it and the remote for the tv was missing.... The hotel staff did promptly attempt to fix. I like the place because it was close to the west Edmonton mall and other shopping places. The rooms in the new tower was nice. The other rooms need a major upgrade. They gave us an upgrade after I was unsatisfied with our first room. Staff is excellent! The room was not as what was pictured and there were very dirty bed sheets and walls between the beds... very old and grungy feel to the room. Staff was understanding when we did not want to stay. Our thermostat didn’t work in our room, they gave us a standing oscillating heater. It didn’t heat the room evenly so it was still very cold.